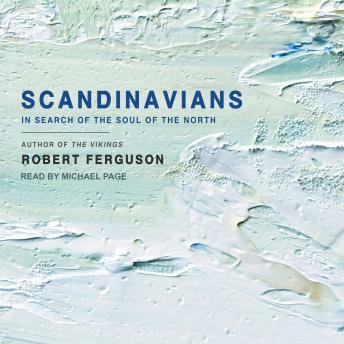 Scandinavia is the epitome of cool: we fill our homes with Nordic furniture; we envy their humane social welfare system and their healthy outdoor lifestyle; we glut ourselves on their crime fiction; even their strangely attractive melancholia seems to express a stoic, commonsensical acceptance of life's vicissitudes. But how valid is this outsider's view of Scandinavia, and how accurate is our picture of life in Scandinavia today? Scandinavians follows a chronological progression across the Northern centuries: the Vendel era of Swedish prehistory; the age of the Vikings; the Christian conversions of Denmark, Norway, Sweden, and Iceland; the unified Scandinavian state of the late Middle Ages; the sea-change of the Reformation; the kingdom of Denmark-Norway; King Gustav Adolphus and the age of Sweden's greatness; the cultural golden age of Ibsen, Strindberg, and Munch; the impact of the Second World War; Scandinavia's postwar social democratic nirvana; and the terror attacks of Anders Behring Breivik.